several years ago i had a friend who shared this great makeup tip with me. 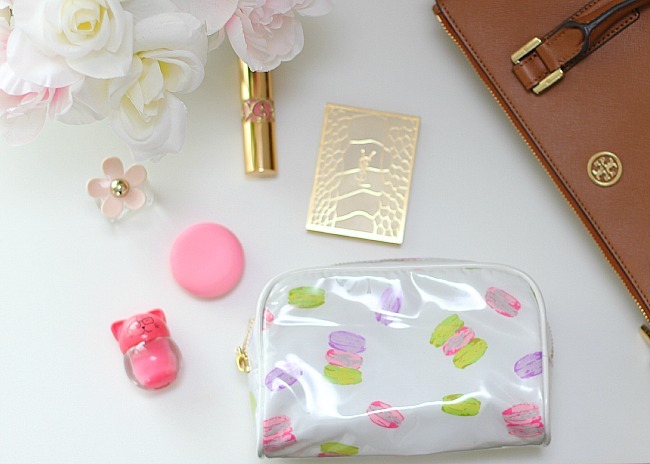 pack a small cosmetics bag filled with your go-to makeup products and when you need anything for touch ups it is easily at your fingertips. additionally, if you are like me and like to switch up your purses this makes transferring items from bag to bag to simple. i have a tendency to lose products thanks to little hands that are always in and out of my bag. this helps prevent loss of products by keeping everything in one place. 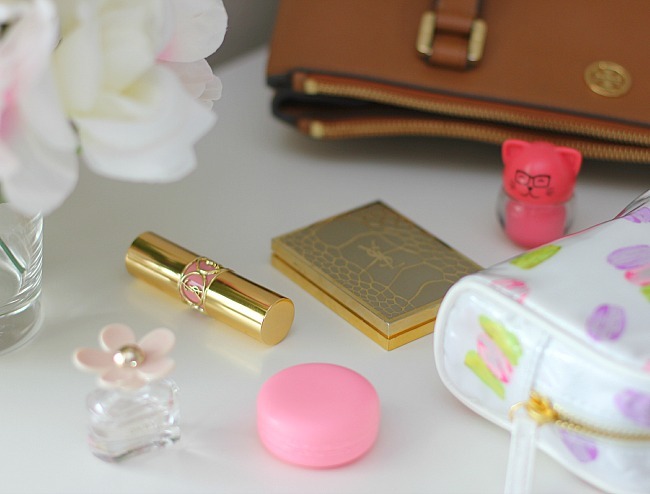 intersted in what i keep in my makeup bag? i fill my cosmetics case with my must-have products including: lipstick, bronzer/blush, gloss, perfume and not pictured is my constant mascara stash. these are my items that help me when i have had only minutes to dress and get out the door. in other instances i have spent the day running from activity to activity and then i want to meet my husband or friends in the evening. these products help give me all the touch ups i need.